The trickiest part of this whole trip was getting to Cuba, due to the (slowly lifting) sanctions on travel from US to Cuba. While it is possible according to this blog, I didn’t quite have that kind of flexibility with miles, since a lot of mine are with Delta and United, currently. 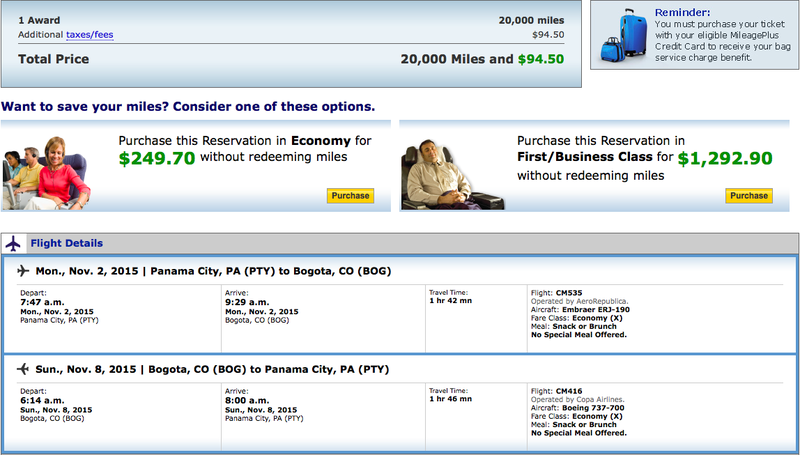 After checking out a bunch of options, my cheapest option was flying from Panama City to Havana on Copa. This simple, 2.5 hr flight cost 500 USD round trip. This would have been cheaper than most charter flights from the US, which run around 700 USD. This was not inclusive of me having to get a flight from SEA to these departure points, e.g. Florida, New York, either via miles or points. Either way, charter flights seemed like a bad value proposition. So, I settled on Copa, where I could get mileage credited to my united account. But as my goal is to see as many countries in the world as possible, even if it’s not ideal, I try to tag on as many countries as it’s possible with every trip, which led me to Colombia. Since I was going to be based in Panama City, I looked around to see what were some of the redemption values like for the neighbors of Panama. 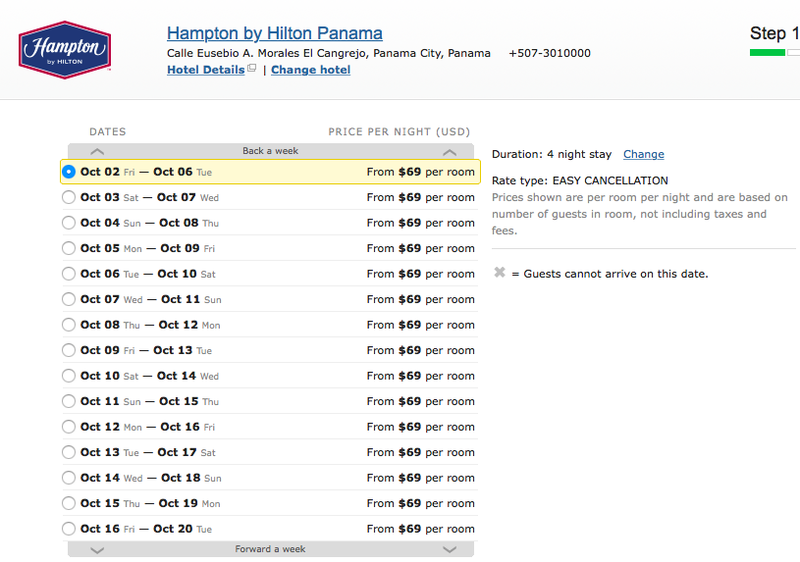 I found out that I could redeem points for a trip from Panama to Colombia for 20000 points, but when I saw the taxes (94.50 USD), I decided to check how much it would cost for me to just add Colombia to my Cuba trip. Result? 200 USD. So, if I used a 20000 points redemption, I would actually just have saved 100 USD. That seemed like really bad value. So I wound up paying for this add-on leg. So, how much did I save? 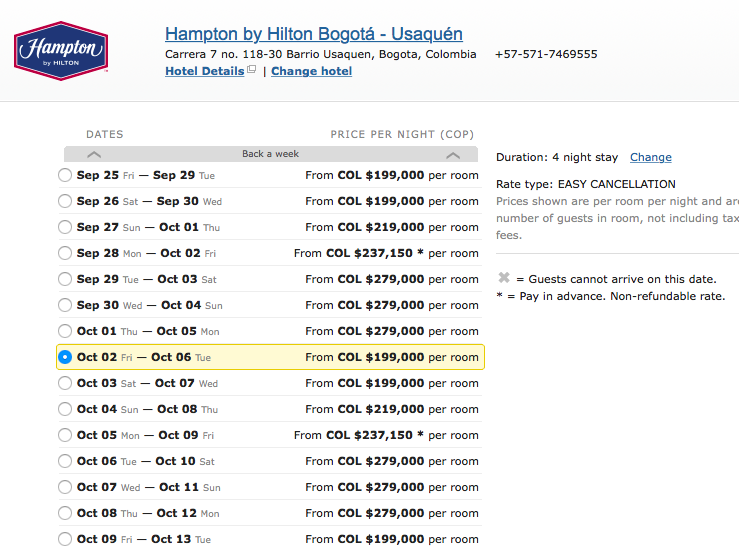 Hampton: On the Hilton site, nights go for around 70 USD. I used points and cash in this instance. Waldorf Astoria: I booked a King room for 89 USD, but got upgraded to a Junior Suite. I can’t say I saved 200 USD, but I can say I paid 14 USD for a Junior Suite. This trip could have potentially cost me a lot more. Granted, if I did not have all these points and miles, I’d probably have found some hostel that costs closer to 20 USD to stay at. But hey, if I can stay at a nicer place, that makes life better. Also, all the inclusive hotel breakfasts were a key to me cutting down my day-to-day expenses on the trip. Through some googling, and the use of hotel points and airline miles, I was able to visit 3 new countries at a reasonable cost, and made some substantial savings for this trip.